It's finally fall! This is officially my favorite time of year. Cooler weather, fun fashion, the yummiest holidays, and arguably some of the best movies. 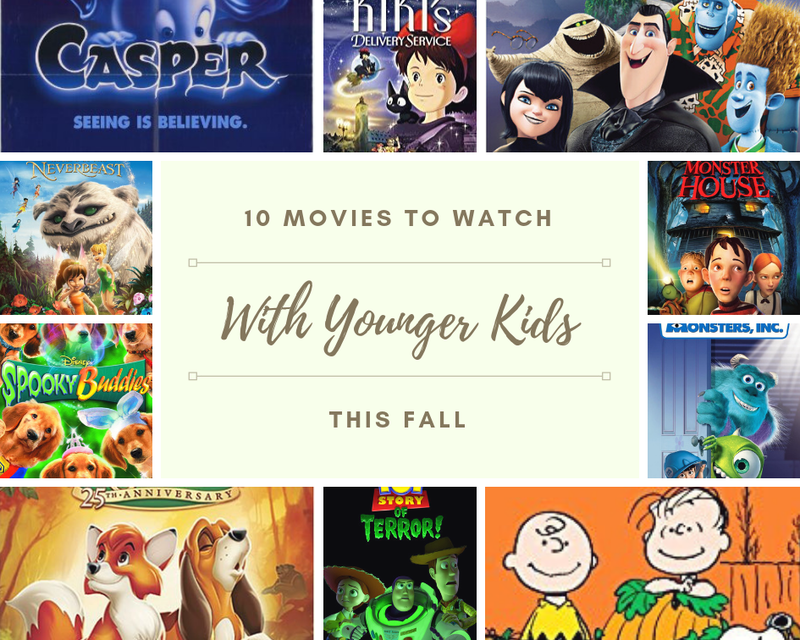 So if you're like me and planning some quality movie time with your little ones, you'll definitely want to add these ten movies to your must-watch list. Ok, so this isn't technically a movie, but how could I not include the TV special on this list? Charlie Brown and the gang are getting ready for Halloween, while Linus waits for the arrival of the Great Pumpkin. At less than 30-minutes, it's the perfect length for your short-attention-spanned toddlers. It's airing several times on Freeform, or you can watch it online here. I saw this when I was in college and loved it. It's about three friends, probably middle-school aged, who learn their grouchy neighbor's house is really alive, but it's not what they or anybody else thinks. It gets the PG rating for scary images, limited crude humor, and brief language (no curse words). Find when to watch here. What preschooler doesn't love the Buddies? Apparently not many. There are so many of these movies out now I've lost count. 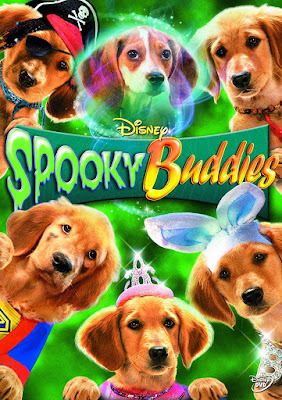 In this Halloween-themed adventure, the puppies must save the world from a wicked warlock all while dressed in adorable costumes. They make some new friends along the way, including a ghost puppy. Find when to watch here. A father and daughter move into a house that's haunted by Casper the friendly ghost and his three ghostly uncles. Casper and Kat team up to save Kat's father and Casper's family treasure. This movie is full of laughs and life lessons, and while I would have no qualms letting my 3 year old watch it I doubt she'd be engaged by it. This is technically a short film, which makes it perfect for toddlers. 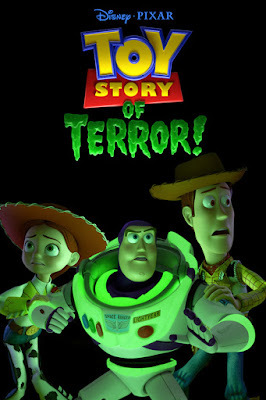 Woody, Buzz and the gang are on a road trip when toys start disappearing from their owner's hotel room. Naturally Woody, Buzz, and Jessie set out to rescue their friends. Find when to watch here. A human stumbles into a resort for monsters run by Dracula. 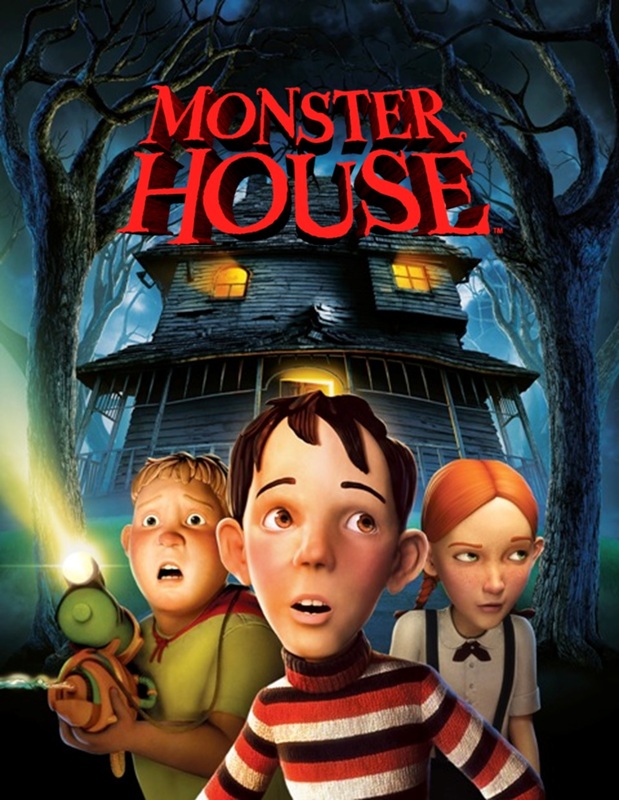 In order to keep his monster guests calm, Dracula dresses the boy up as a monster, but his plan backfires when his daughter, Mavis, falls for Jonathan. 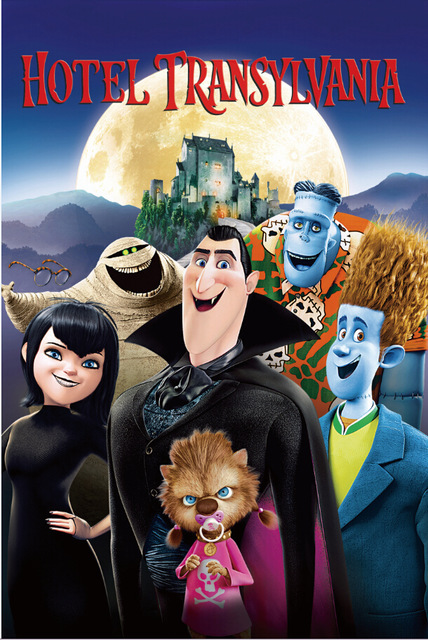 Your little ones will laugh along as Dracula tries and fails to keep the two of them separated. Find when to watch here. A world of monsters that runs on kids' scream power is thrown into chaos when a toddler sneaks in. In their quest to return Boo to her world, best friends Sully and Mike make a huge discovery that will change everything. Find when to watch here. 13-year-old Kiki is a witch in training who moves to a seaside town to spend a year alone. 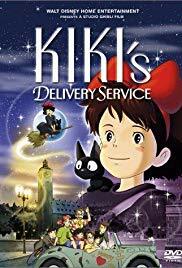 While there, she starts a flying delivery service, but soon loses all her powers and has to learn to love herself to get them back. 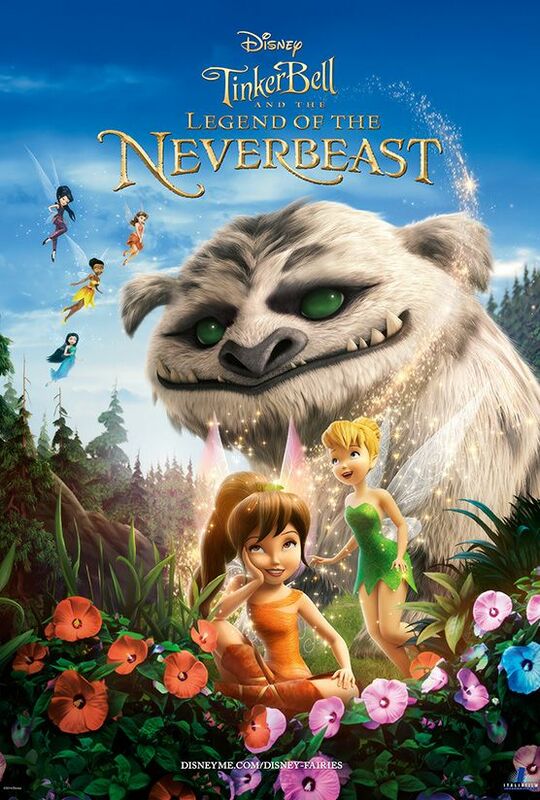 Every one-thousand years, the Neverbeast wakes in Pixie Hollow. But over time the truth has been forgotten, so this time when the comet passes and Gruff comes out of hibernation, all but one fairy believes he's there to destroy their home. Tinker Bell is not the main character in this movie, but rather animal fairy, Fawn. It's a definite favorite in our house, but you may want to have tissues handy for the end. It gets me every time! Available on Netflix. 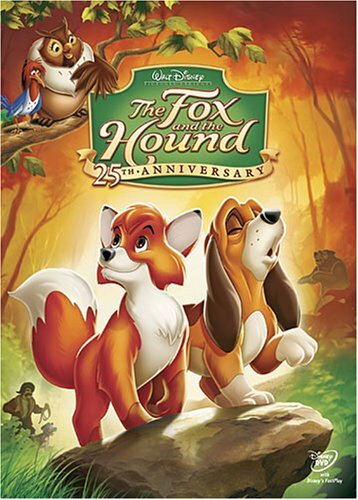 It's the story of Todd and Copper, the most unlikely of friends - a fox and a hunting dog. Todd is raised by a human right next door to Copper's owner. When Todd is released back into the forest, he inevitably finds himself being hunted by Todd. Will their friendship triumph? **Stop by tomorrow for 12 Movies to Watch with Older Kids This Fall.